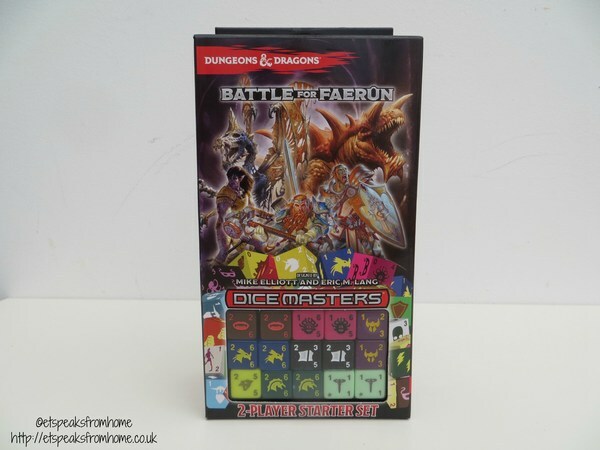 Dice Masters is a dice building game which involves each player building a team of characters from their collection of cards by taking the role of masterminds directing the actions of a team of powerful supers (represented by dice) to battle each other! 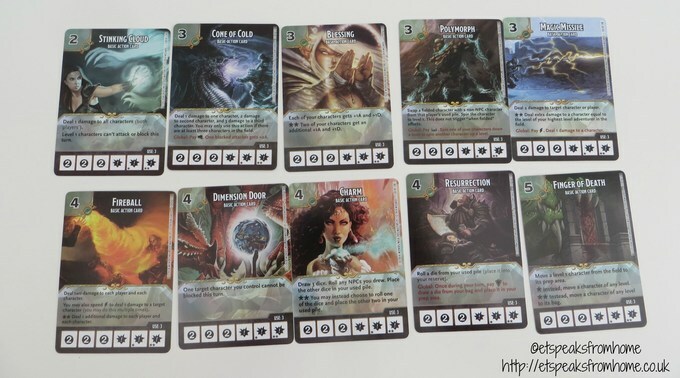 Each character has corresponding dice specific to their card. The sides of the dice have different abilities, some represent different types of energy, which can be used to buy more dice from different characters, whilst some sides represent the characters themselves. The sides that represent characters have a power and toughness rating and an energy cost, which you can use any kind of energy to pay to field that version of the character. Different sides have different energy costs; the more energy you need to pay, the more powerful that version of the character will be. Players then use the characters to battle their opponent’s characters in an effort to reduce their opponent’s life total to zero and win the game! It is quite complicated and for the newcomer, it is best to photocopy the play mat and place them in front of the players to remind them where to place the cards. To have a better idea of how to play this game, why not check out this video! 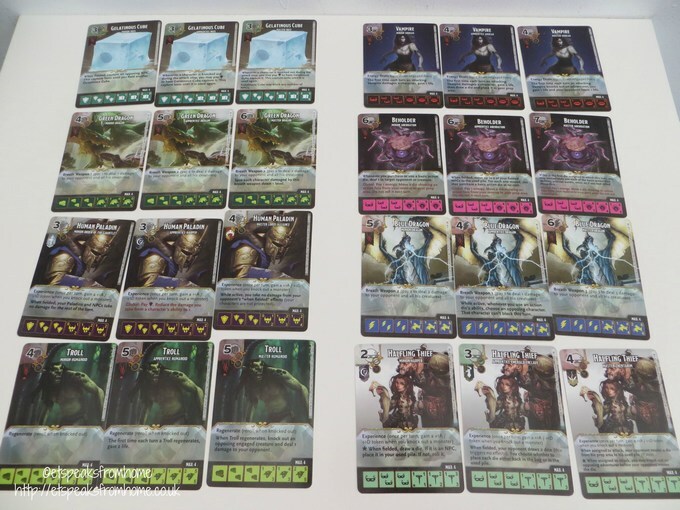 You can find more information on the game at Dice Masters and Wizkids. 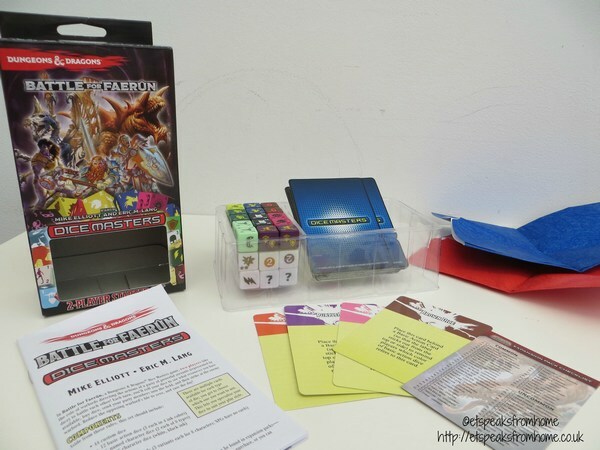 The game is also available as booster packs which includes 2 cards of varying rarity and their corresponding dice. At just £1 per booster, players are given an affordable way to expand their collection and increase the power, and possibilities for modification of their game. The game is available to buy from Amazon. Now Esdevium Games is giving this Dungeons and Dragons starter set worth £14.99 to one of my followers! So good luck and enter through Gleam! Also, remember to check out the rest of my giveaways! Your details will be passed to Esdevium Games, but will not be passed onto any third parties by ET Speaks From Home. The prize will be sent directly to the winner from Esdevium Games. Competition starts on 09/09/2015 12 am – 10/10/2015 11.59pm. « Our Next New Car?